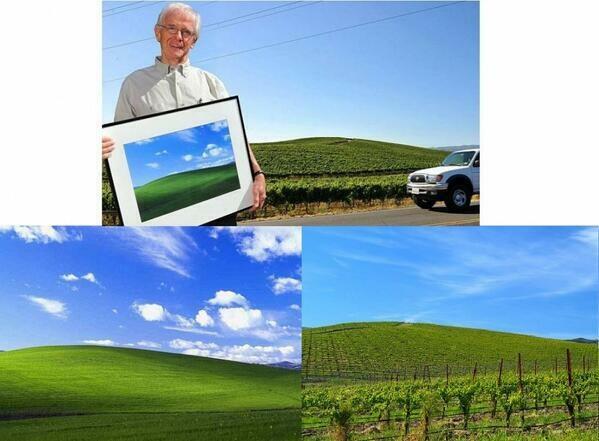 Bliss was the name of the default computer wallpaper of Windows XP. The photograph was made on June 24, 1996 for the digital-design company HighTurn by Charles O’Rear, a former National Geographic photographer. According to O’Rear, the image was not digitally enhanced or manipulated in any way. The image was captured from the side of the highway 12/121 with a hand held medium-format camera. The approximate location is 3101 Fremont Drive (Sonoma High Way), Sonoma, California. 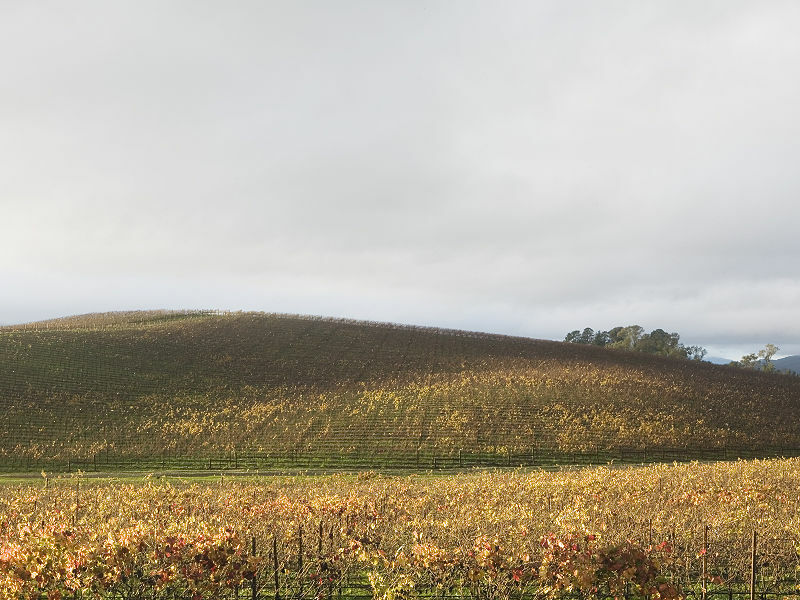 The same location in November, 2006, showing vines covering the hillside and foreground.